Given some of the stories I’ve written, anyone would think I have a fascination for werewolves. If that’s true, I’m certainly not alone. The number of movies and books featuring werewolves is mind boggling, and their continued popularity attests to a widespread public interest. As a dedicated fantasist, I’ll admit that I enjoy a good shape-changer story, whether it’s about true lycanthropes or some other variety of animal transformation. When it comes to a fantasy escape, there’s nothing quite like shedding your human form and experiencing the world through the perceptions and abilities of the creature that most captures your imagination. I’d love a chance to soar the wind currents in the form of an eagle or lope through the forest in the body of a wolf. Fiction writing gives me a chance to do that, at least in my mind. Once I’ve recorded the experience, I can go back and enjoy it at my leisure. What’s even better is that I can share it with others and hopefully give them the same vicarious thrill. You’d think people would get tired of the same old transformations, torment, and tragedy associated with wolf-man stories, but that doesn’t seem to happen. 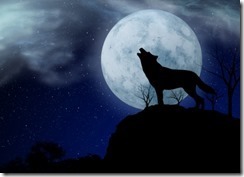 In most cases, storytellers present lycanthropy as a disease or curse that can be communicated to another human victim through a bite or scratch. Exceptions to that trope exist in history and in fiction, such as the legend of witches who could don a magical belt that would cause the transformation. However, the chillingly dramatic scene of involuntary and agonizing bone-stretching induced by the full moon is what has become a fixture of the subgenre. I could have gone the “traditional” route, but I thought it would be more fun to present lycanthropy in a different way. In Vaetra Unveiled, lycanthropy is a potion that can be consumed by anyone wanting to get their fur on. It wears off by the next sunrise and has no long-term side effects. In First Moon, lycanthropy is the result of possession by a lupusdaemon (wolf demon). First Moon is set in a contemporary, if somewhat alternate, North Idaho. The werewolves of the local Selkirk Pack are contributing members of their community and they generally stay out of trouble. The local pack is just one of several werewolf packs around the world. The members of the Selkirk Pack integrate daily with their oblivious human counterparts, but they keep their acquaintances casual. For most of the werewolves, home is a large facility located in the Selkirk Mountains called the Rutlinger Foundation. There, they interact with others of their kind within the security of their gated compound. The Selkirk werewolves transform back and forth from human to wolf form using inherent demonic power that has been shaped by ancient pagan magic. Transformation is a voluntary and deliberate act, so they can do it at any hour of the day and on any day of the month. Which is not to say that the full moon has no significance in the First Moon story world. 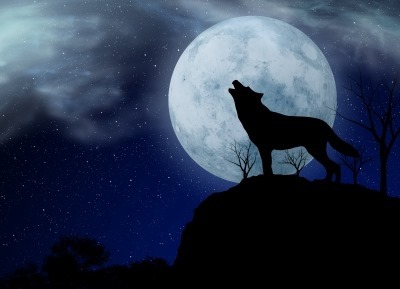 Werewolves may be able to transform at will, but they can only possess new human victims on the full moon in a process called Vollmondritus (German for “Full Moon Ritual”). Full possession takes a while to manage. During the weeks following Vollmondritus, the demon begins to transform the host body, giving it superhuman strength and speed. The victim’s eyes slowly change to the golden amber of a wolf’s. The demon’s presence and power also gives the host body the ability to heal from wounds abnormally fast. While exciting to experience, these “symptoms” of lycanthropy can be quite disturbing to the victim, who often has no idea that a demon lurks within. By the next full moon, the demon has finished its preparations for complete possession. On the night of the victim’s Erst Mond (German for “First Moon”), the demon takes over the host body completely. The demon retains enough of the victim’s memories that it can virtually step back into the victim’s life and impersonate him or her. Of course, the demon does not share the victim’s interests or passions, so it usually severs all of the victim’s past relationships over time. My forthcoming book First Moon is about a young man named Kyle Nelson who is unfortunate enough to experience Vollmondritus and has until the next full moon, his First Moon, to deal with it. Lucky for him, a pretty witch named Amanda decides to help him, even though he thinks her explanation of what’s happening to him qualifies her for the asylum. First Moon is still on track for a March release, although late February is a possibility. If you want to be among the first to hear about it, sign up for my New Releases list and I’ll send you an email when it’s available.